Wine makes superconductors better at their jobs. And apparently, it makes some scientists better at their jobs too. Superconductors behave like most metals; they conduct electricity. They do so, however, with a twist. All metal has some resistance to the flow of electricity. But when the temperature drops, superconductors get less and less resistant (and therefore more conductive). When they reach very low temperatures, their resistance drops to zero. Yoshihiko Takano and other researchers at the National Institute for Materials Science in Japan were in the process of creating a certain kind of superconductor by putting a compound in hot water and soaking it for hours. They also soaked the compound in a mixture of water and ethanol. It appears the process was going well, because the scientists decided to have a little party. The party included sake, whisky, various wines, shochu, and beer. At a certain point, the researchers decided to try soaking the compound in the many, many liquors they had on hand and seeing how they compared to the more conventional soaking liquids. When they tested the resulting materials for superconductivity, they found that the ones soaked in commercial booze came out ahead. About 15 percent of the material became a superconductor for the water mixed with ethanol, and less for the pure water. 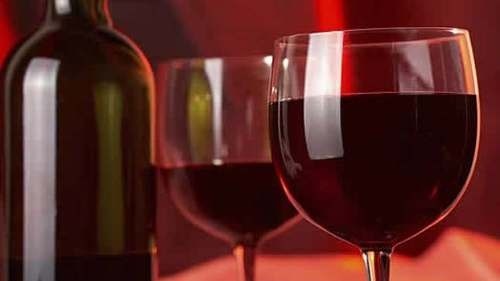 By comparison, Shochu jacked up conductivity by 23 percent and red wine managed to supercharge over 62 percent of the material. The scientists were pleased, if bemused with their results. So, a little sip of something turns out to make potential superconductors much better at their jobs. And, perhaps, scientists better at their jobs as well.